My husband was born and raised from Buffalo, the first time he brings me to Niagara Falls I was blown away. It's really a great view! I love watching the thunderous water cascade over the cliffs and feeling the mist on my face. On my first trip last 2007 we ride on a boat at the Maid of the Mist, which gives you an up close and personal view of the falls. You don't have to pay to see the falls. It is such a sight to see. I've visited the Niagara Falls many times we truly enjoy it and make it a habit of visiting every year. Spring, summer, fall or winter there is something to see. Leaving Buffalo is really hard but it’s been a good experience for us. And we are looking forward to start a new travel memories down South. 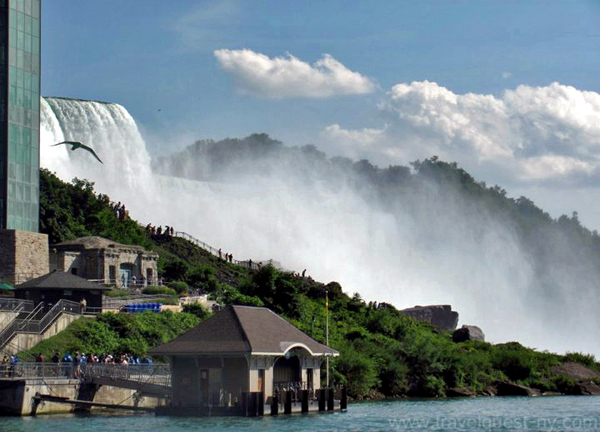 Niagara Falls the world’s most famous falls draw starry-eyed honeymooners and tourists to its panoramic view. 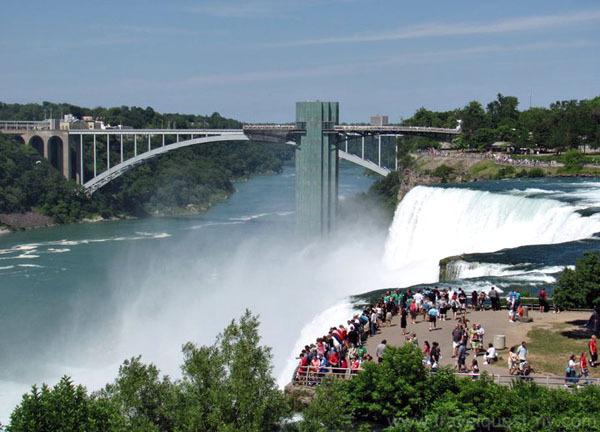 The best view on the American side is from Goat Island; here visitors witness up close the sheer power of million gallons of water falling each minute. The Canadian side offers a much greater diversity of activities. The Clifton Hill area abounds with attractions for everyone. Don’t forget to bring your passport when you crossed the US-Canada border and have your pocket ready because its more expensive in Canadian side. Last June 15, 2012 a man bravely walk in a tightrope across the Niagara Falls. Another daredevil history of this majestic waterfall. I hope you don’t miss that stunt! Hi There Leah, We love Niagara. We've been twice--once to the Canadian side and once to the American side. Loved the Canadian side much more. Sweet love all your adventure keep posting babe! I love Niagara Falls-when we went there it was July, but it was a bit chilly. These are beautiful pictures! I would also love to go there! Love the pics and I have always wanted to go!! Wow that is stunning. I hope to make it to Niagara Falls some day. It is on my bucket list of places to see. 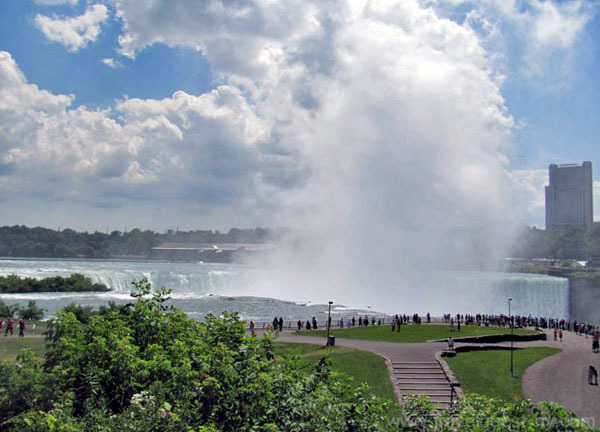 Dont forget to visit the Canadian side of the Falls way much better than American side. I still haven't made it there yet, but it's on the bucket list. Thanks for showing the great photos! WOW that is beautiful I dont know how you managed to leave that place. I would love to go their. Its so pretty and relaxing looking . New York taxes is high and it get so cold there during winter , reasons why we decided to move out of state. But it was a good experience we live 20 mins away from this beautiful Falls. Have never seen this beauty yet, I hope someday, I would! Those are amazing pictures, thank you for sharing. I would love to see something that beautiful. I remember going to see the Niagara falls a couple of years ago. It was beautiful! But wish I could see it on the Canadian border someday. So magnificent. 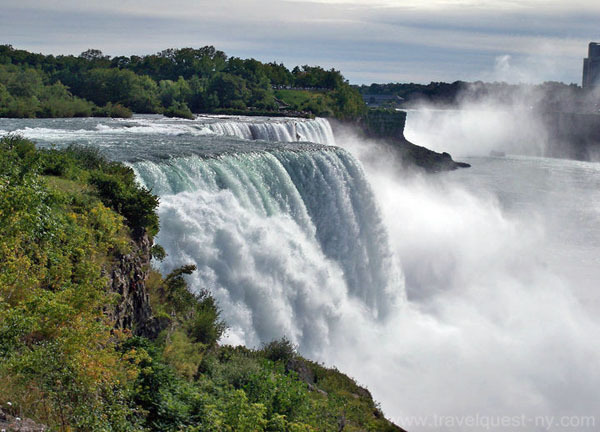 One of my greatest dreams is to visit Niagara Falls. Anyway i love Niagara Falls !! !